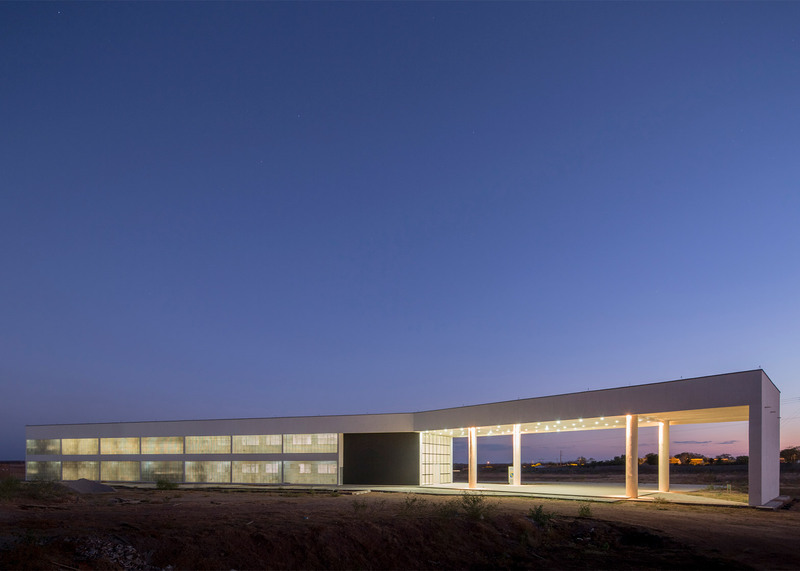 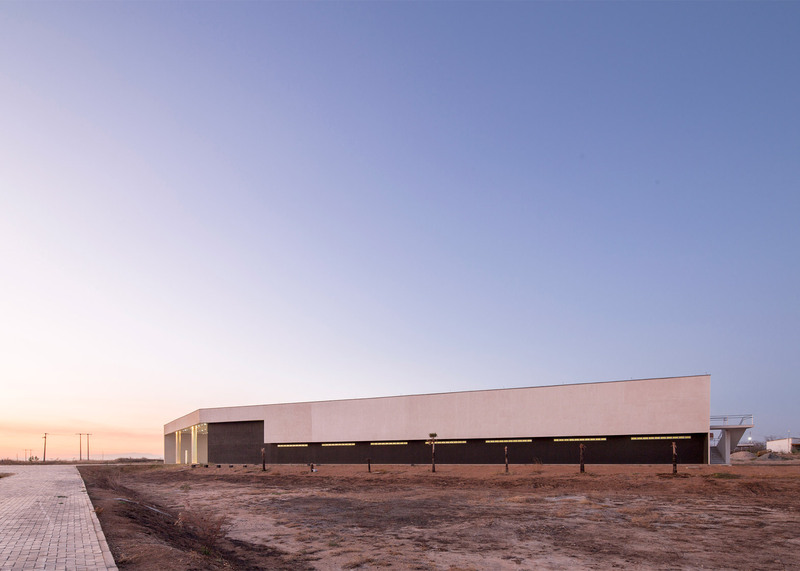 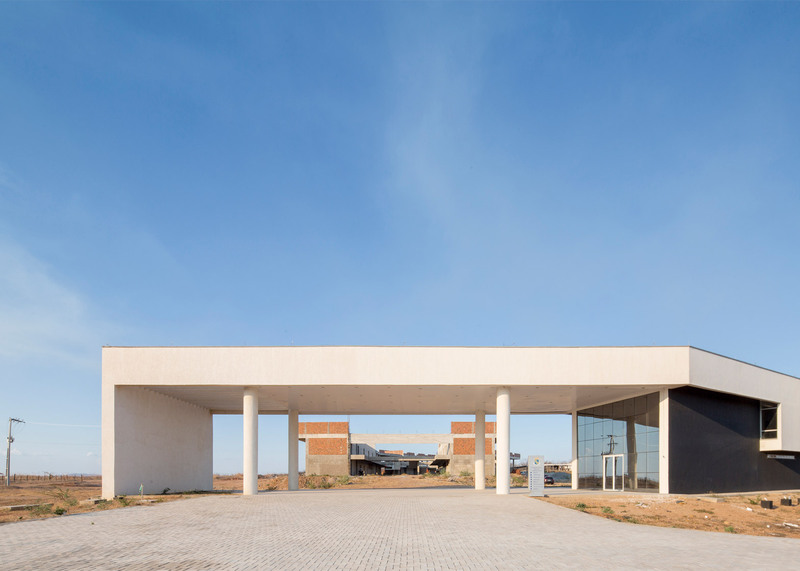 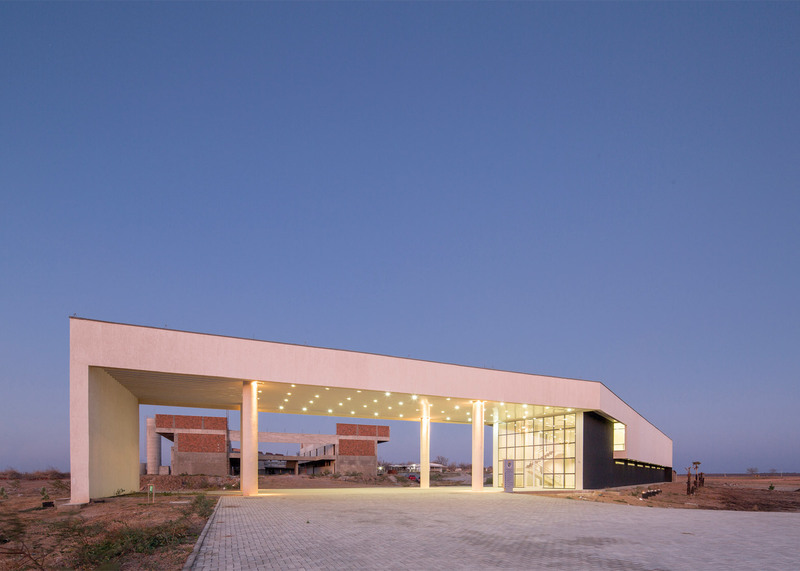 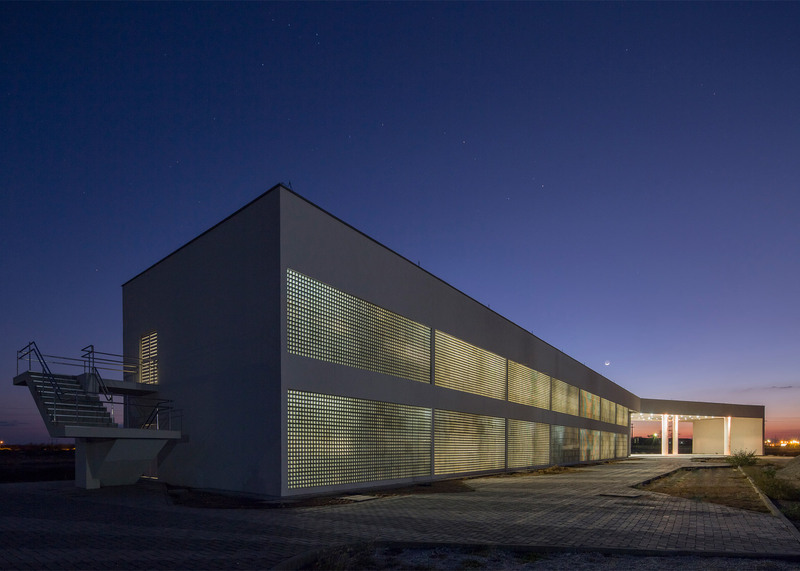 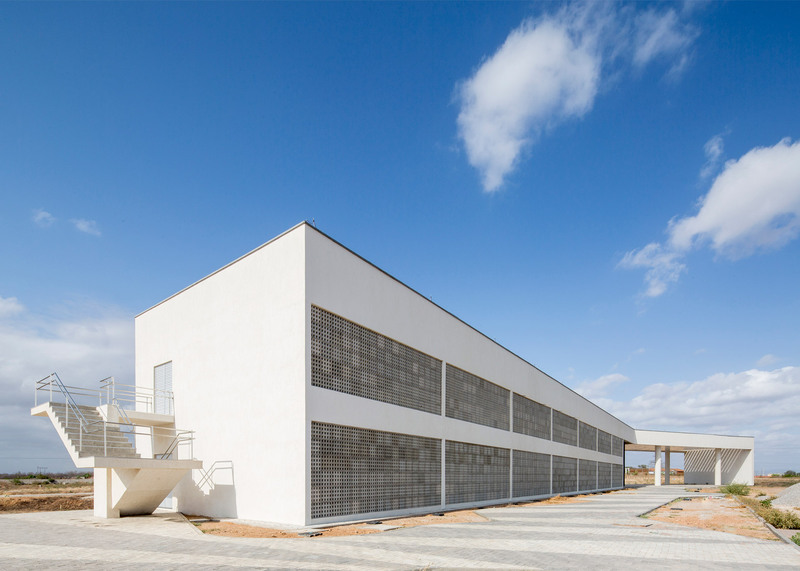 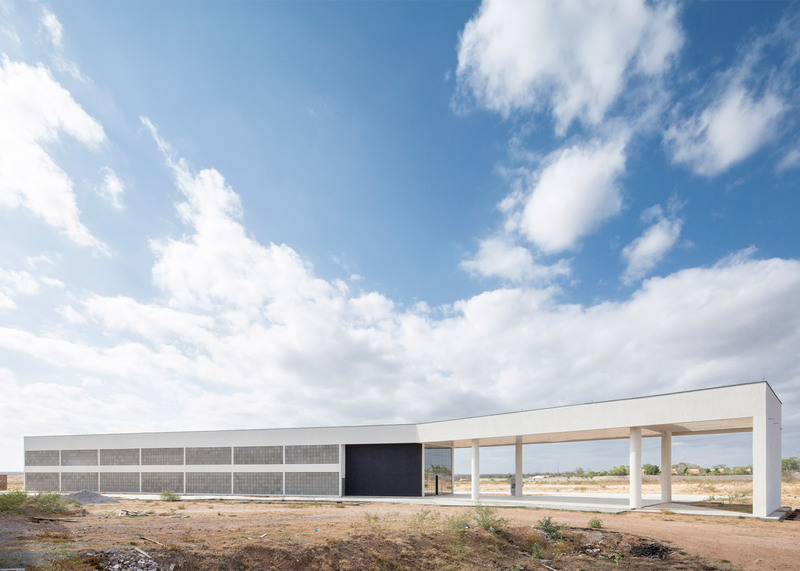 Architecture studios Rede Arquitetos and Croquis Projetos have completed the first building of a new university campus in Crateús, Brazil: an administration block that spans an access road to the site (+ slideshow). 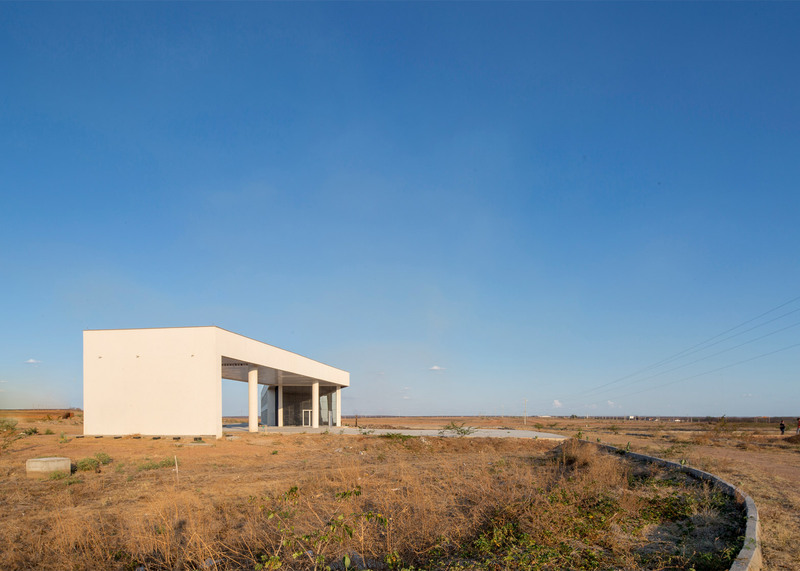 The first building at the Federal University of Ceará has a tick-shaped plan that divides it into two wings. 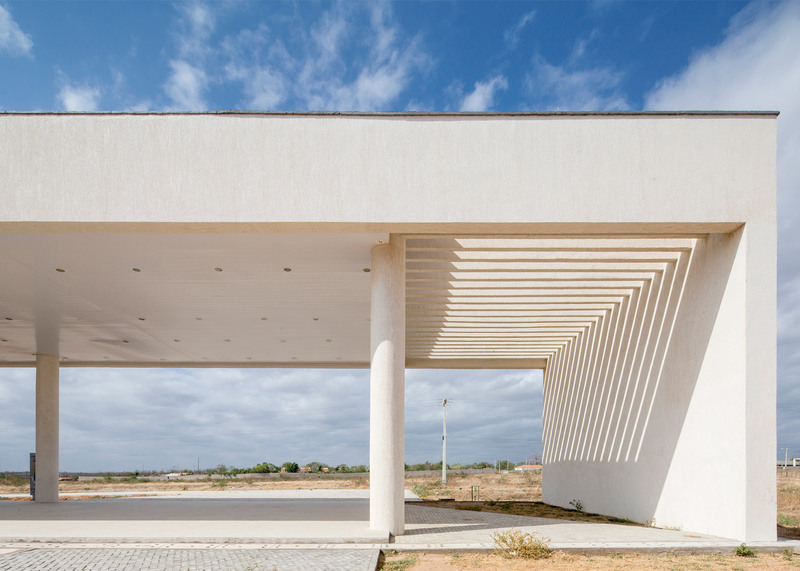 One one side, a hollow section supported by four chunky columns angles over the roadway to create a gateway to the campus, while the other, a long rectilinear block houses the administration offices and meeting rooms. 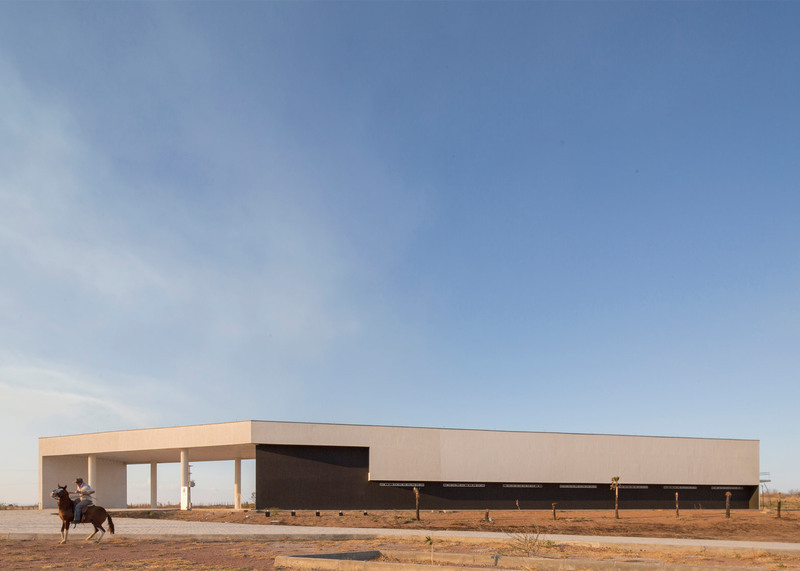 "The building has a dual function: to host the administrative part of the set and to serve as a gateway to the campus," explained Rede Arquitetos and Croquis Projetos, "thus determining the shape of the building, which is split by a shift in its floor plan that separates a stretch and closed part from the other, open and fluid." 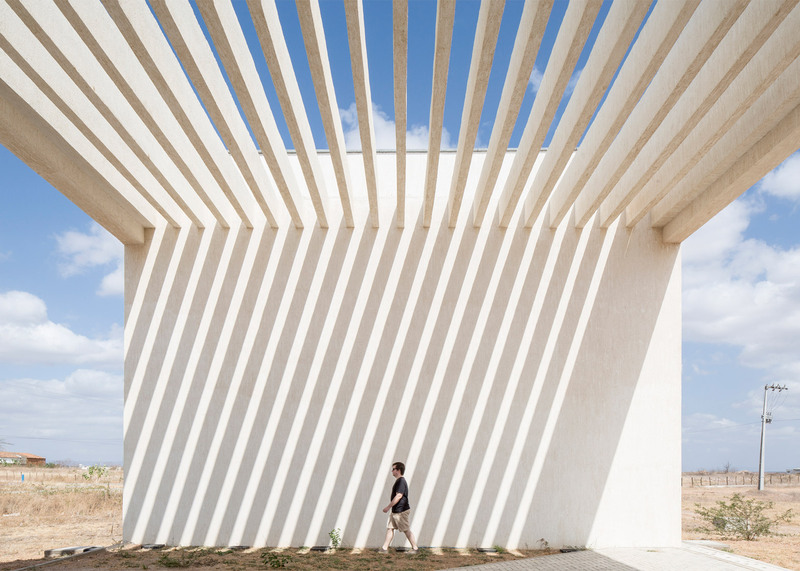 A slatted portion of the roof structure casts dramatic shadows across the entrance point during the day, while spotlights set in the underside of a solid portion of the structure illuminate the space after dark. 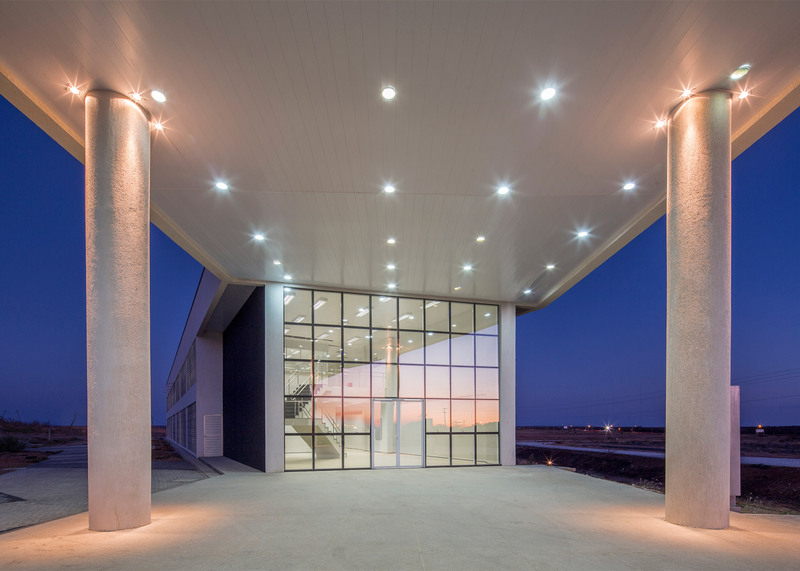 To one side of this large opening, a gridded mirrored facade obscures views into a generous double-height lobby containing a staircase. 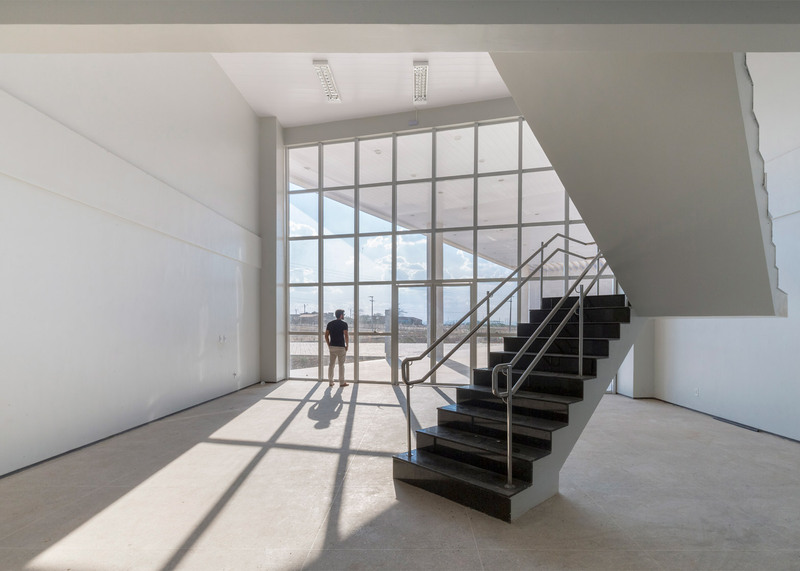 "The part that houses the administration is an airtight volume where is almost impossible to see what happens inside," said the architects, who also blocked views through the flanks of the building by using a combination of perforated and opaque walls. 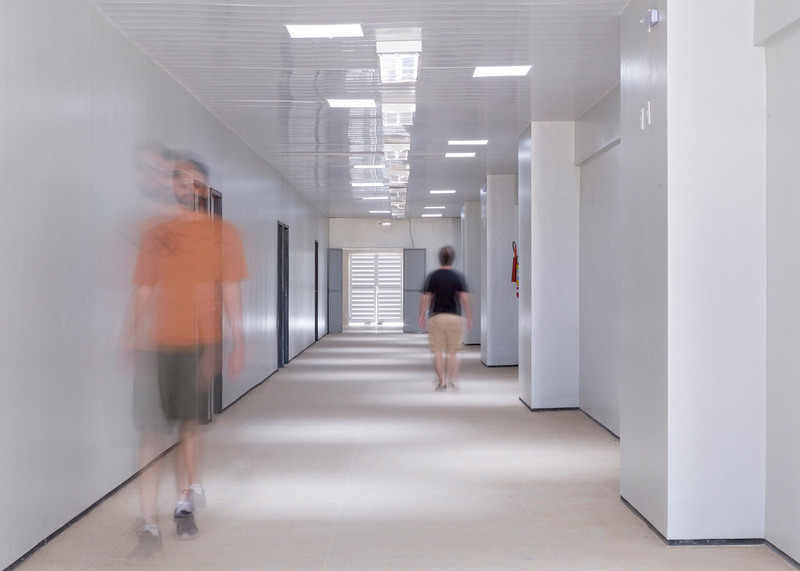 "These devices contribute both to greater isolation of its interior and for the possibility to receive future changes keeping the external character of the building," they added. 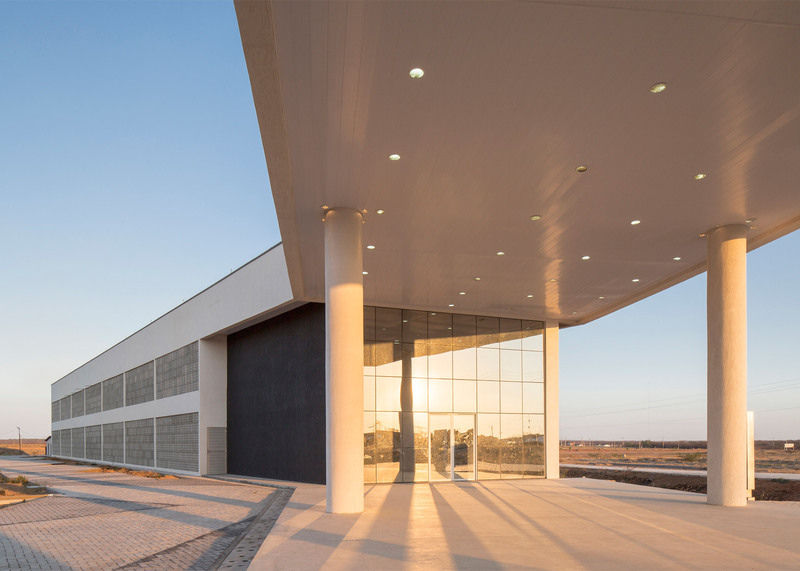 The wing's two floors share the same linear layout with rows of offices arranged the length of a long corridor, ending in boardrooms that span the full width of the building. 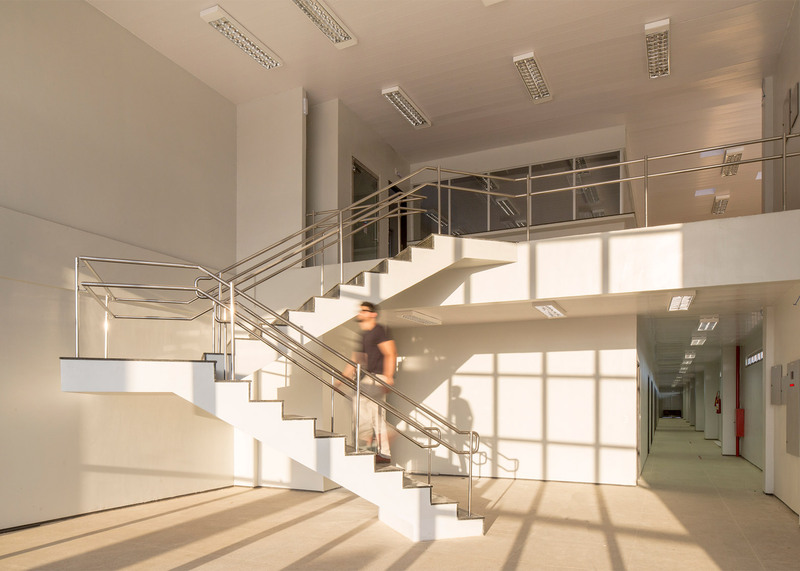 These larger rooms have direct access to an outdoor area on the opposite side of the block. 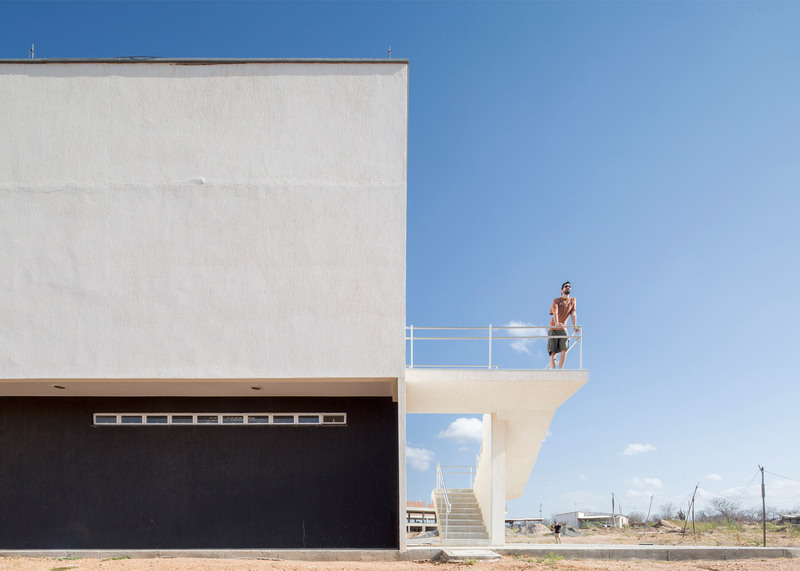 Other bridging buildings include a house by Swiss architect Christian von Düring comprising three stacked blocks and a residence on Sydney's seafront where concrete volumes are arranged to span outdoor sculptures. 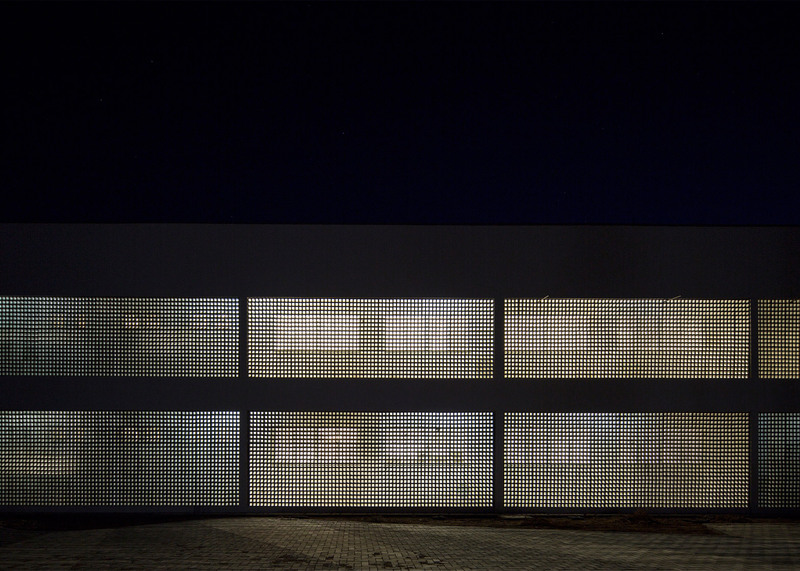 Photography is by Joana França.